Megan has been dog walking and cat sitting with Barks N Purrs since August of 2016. 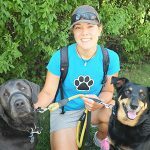 She is currently studying Canine behaviour, training and client counselling through Jean Donaldson’s Academy for Dog Trainers with the goal of becoming a full time dog and cat trainer (Yes! Cats can be trained too!). 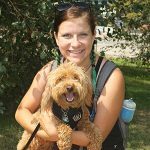 Megan finds dog walking to be a very relaxing and fun job and loves the amount of physical exercise it brings. 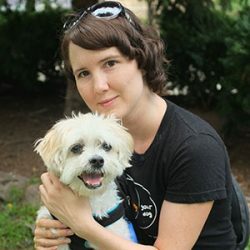 On any given day you’ll find her walking around the Entertainment District with a few dogs, not just walking, but also doing training with them like sit stays at the intersections or working with certain pups to get them moving when they get ‘stuck’ on walks! Megan also enjoys visiting feline companions and occasionally teaches them tricks while she’s at it!